Arts, culture and creativity are fully integrated into daily life and accessible to everyone in every neighborhood, every day. More art for more people in more places. Greater Louisville is a magnet for artists and creative professionals, where arts and culture organizations and creative industries, both institutional and emerging, are thriving. Every child in our community has the opportunity to experience and participate in arts and culture through experiences in their schools, out-of-school programs and with their families. 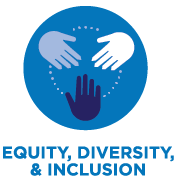 Cultural equity is leading the way to a more equitable, diverse and inclusive community improving the social equity and cultural vitality of the region. Greater Louisville is recognized nationally and internationally as a leading city of arts and culture attracting talent to live and work here and tourists to stay and play.